Keep your cherish memory permanent with this colored photo frame. This mini photo frame, measuring 2 7/8" x 2 7/8" x 1", is suitable to display small photos of yourself as well as your children and beloved pictures. Decorate your house by placing it on the living room or bedroom. Constructed with ABS, lightweight and durable. 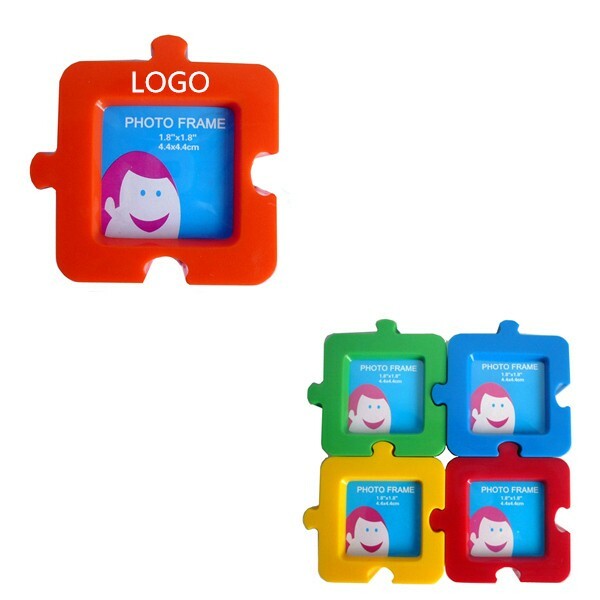 It is an ideal promotional gift for your next project. Comes in red, yellow, blue and green. Custom logo will be imprinted on the frame. 2 7/8" x 2 7/8" x 1"